Compared to girls, research shows that boys in the U.S. are more likely to be diagnosed with a behavior disorder, prescribed stimulant medications, fail out of school, binge drink, commit a violent crime, and/or take their own lives. 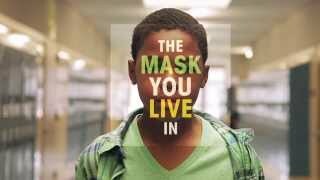 Jennifer Siebel Newsom's new documentary film, The Mask You Live In, asks: As a society, how are we failing our boys? Currently you are able to watch "The Mask You Live In" streaming on Netflix.